Empathy is an important gift we give to our kids. It’s more than just understanding how another person might feel–it’s sharing in their feelings too. But last week, I learned the lesson of empathy from my daughter. My daughter heard a kitten crying in the back yard. She followed the sounds of this kitten’s cries, while she herself was crying with compassion. When she finally discovered the kitten, it was trapped between our fence and our neighbor’s fence. We couldn’t reach the little thing. ”There’s nothing we can do,” I said flatly, and returned to making dinner. But that answer was not good enough for her. She dragged me back outside. By the time we had tried every possible way to free the kitten, we realized that she had freed herself. She managed to get out from between the fences, and was curled up in the backyard again. 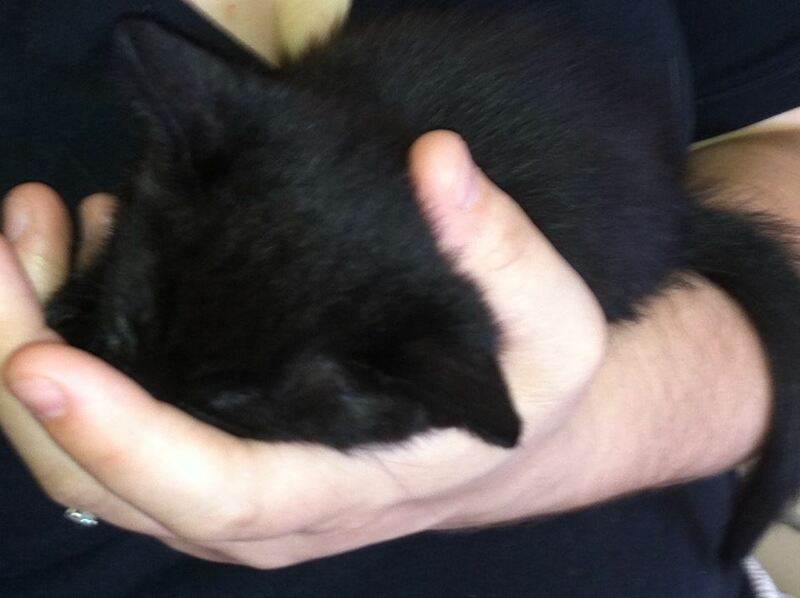 My daughter went to the kitten and was able to pick the little thing up. Her mother was nowhere to be found. We both immediately knew that something was wrong. We tried to feed the kitten and she couldn’t make her way to the food. When she tried to walk, it seemed as if she was unable to walk. I was convinced this kitten was disabled and would die. I tried to prepare my daughter. “This cat may die, honey, but we’ll do the best we can. And even if it lives, we can’t possibly keep her.” The two cats, turtle, partner, son and grandmom would have a fit if we added another living thing to the household. I was stunned by her tears and her empathy. And I was embarrassed by them too. Because I realized that I didn’t care about this cat. 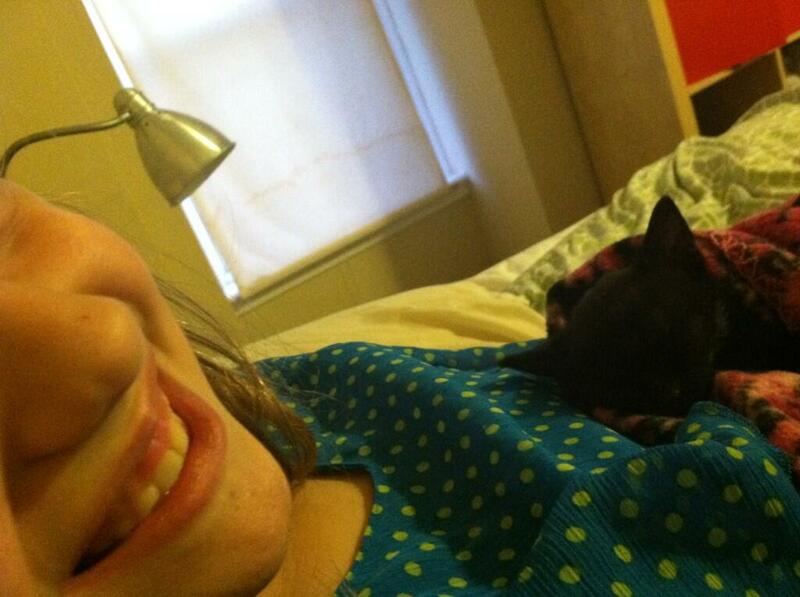 I was jaded by the cries of the kitten, and the possibility that she might die. I was just trying to make dinner–I did not have time or energy to care for another living thing. But, my daughter’s empathy was transformational. I felt that I understood again–through the tear filled eyes of my daughter–what empathy was all about. I understood a little more about “bearing one another’s burdens”. Bearing the burdens of others is not always convenient, it doesn’t often fit in with our own timeline or agenda, but it’s our call as part of our community. Sometimes our children understand this better than we do. Their hearts are open to the needs of those around them, and their arms are open to love. So open, in fact, that we now have a 3rd kitten named Lucky. And every one of us in the house is smitten with her. After a few days of feeding her with a eye dropper, she was able to eat on her own. She’s now strong, playful, and sweetness personified. My daughter named her “Lucky” because she’s a black cat, and they have a reputation for being unlucky. I like the name, because I feel lucky to have her in my life, a constant reminder of the unexpected joys of bearing one another’s burdens. Tags: children, devotion, empathy, family. Bookmark the permalink.